-Text Giving through our secure site, easyTithe, that we also use for our on-line giving. -Text (517-258-3220) put in the amount and press send. -The first time you use this service you will have to give some additional information, Such as name and address, and credit or debit card numbers to be logged onto easyTithe's secure servers. -This information will be linked to your Phone number so that every time after the first it takes only seconds to give. 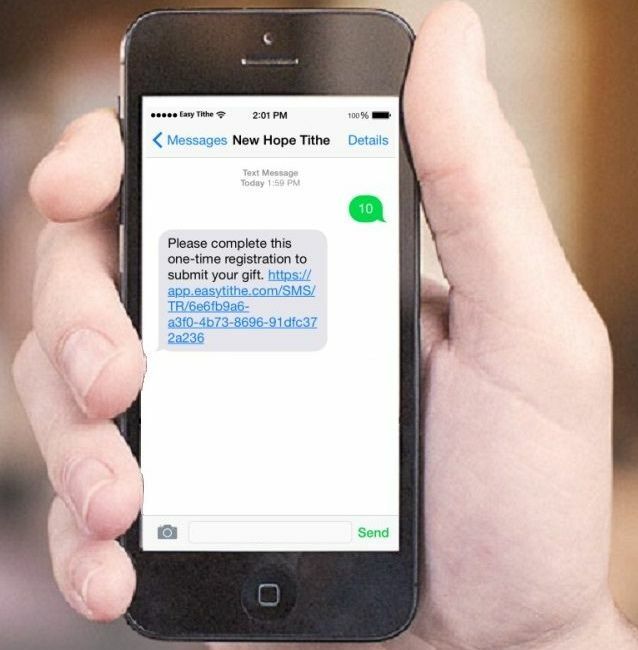 -The new Text-To-Give system is easy to use, and makes giving to the Ministry here at New Hope simple and stress free. -Thank you for your faithful giving to the ministry of God's Kingdom to reach lost and hurting people. We also have a Kiosk located in our lobby if you wish to continue using our easyTithe website to Give. 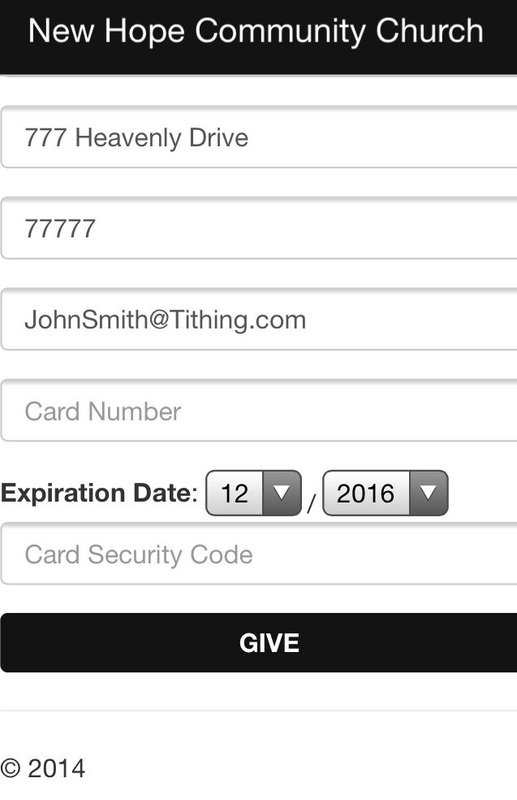 Or you can CLICK HERE to create an account with easyTithe now.